When life gets busy, you need your skin to perform just as well as you do. 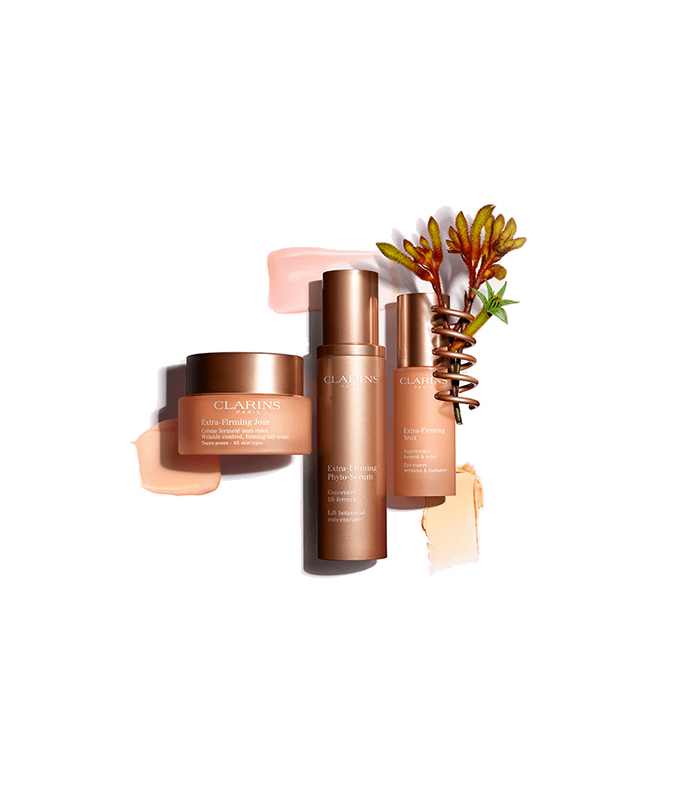 Discover the Extra-Firming range from Clarins – the ultimate anti-ageing collection that protects and plumps your skin for a visibly younger-looking complexion. The Extra-Firming collection from Clarins is the anti-ageing answer you’ve been waiting for – packed with powerful plant extracts for visibly smoother skin and an immediate tightening effect. Try the all-new Extra-Firming Eye, a firming balm that contains mother-of-pearl to brighten the eye contour and give a healthy glow. Extra-Firming Phyto-Serum with its smooth ultra-sensorial gel texture helps skin to appear firm, smooth and youthful, with results that improve when used daily. Use with Extra-Firming Eye for the ultimate power lift duo. And for around-the-clock radiance, use Extra-Firming Day and Night Creams. The key ingredient, organically sourced Kangaroo Flower Extract, helps the skin to maintain its firmness so that your skin is performing just as well as you are all throughout the day.